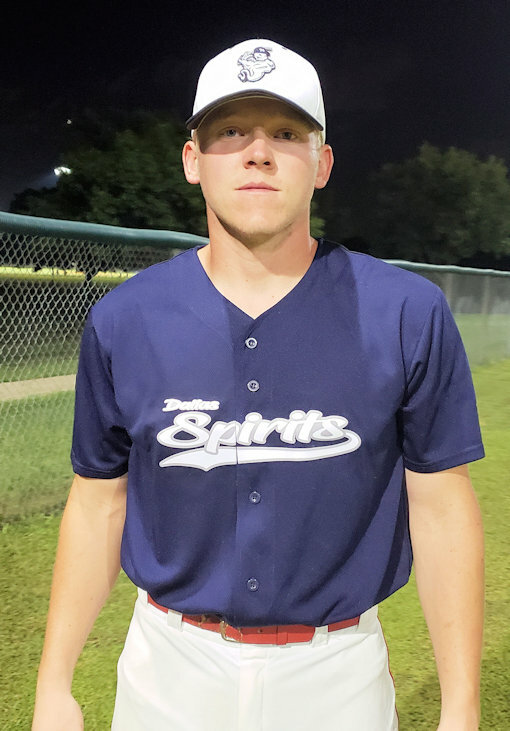 (October 29, 2018 – Dallas, TX) The hits were flowing for the Spirits (18+) squad Sunday afternoon and unfortunately for the Pelicans of Oak Cliff, so were fielding errors. The Spirits used 11 hits to put up 11 runs assisted by 6 fielding errors by the Pelicans to cruise to an 11 to 5 victory at First Baptist Academy in Dallas. Colton Bucker led all hitters with a 3-for-4 performance from the dish that included 2 runs scroed, 2 RBIs and a stolen base. 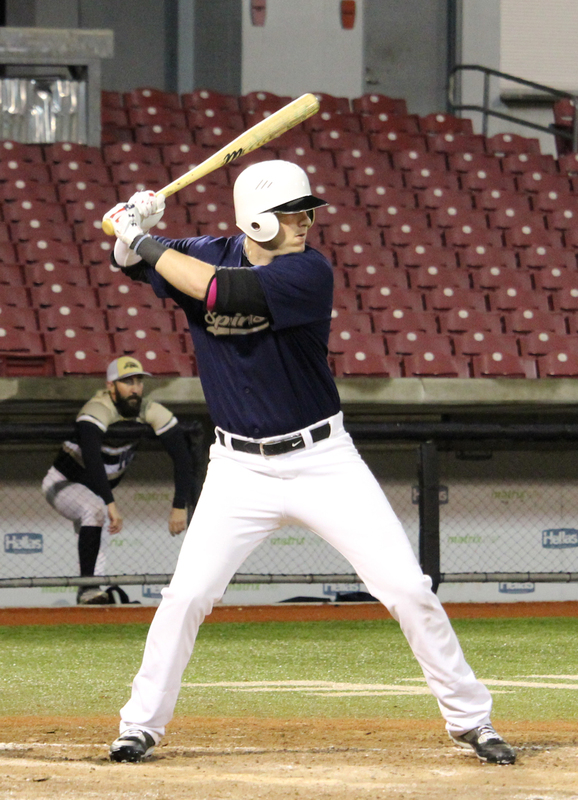 Eric Goetz and Mike Werner each added a pair of hits while Werner added a base-on-balls and both hitters each scored a pair of runs as well. Holden Novak went the distance picking up the complete-game victory and also added a hit, walk and 3 runs batted in, while also stealing a bag as well. The Spirits picked up their first run in the first after Goetz led off with a single and advanced to second when Buckner singled to follow. 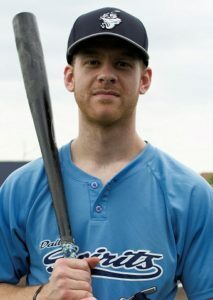 Goetz stole third and then was awarded home following an error on the Pelicans catcher to give the Spirits an early, 1 to 0 lead. The team exploded for 7 more runs in the fourth after Mike Anderson drew a lead-off walk and Rudy Lucas followed with a single. Tom Miller also singled to load them up and Cliff Brade drew a base-on-balls to give the Spirits a 2 to 0 lead. Lucas would then score on a wild pitch and Buckner added 2 more runs with a single that scored Miller and Brade. Werner walked and Novak reached on an error to score Buckner and the merry-go-round continued. Werner then scored after Duane Aponte reached on an error and after Anderson walked for the second time in the inning, Lucas made it 8 to 0 by drawing a walk as well. The Spirits would add 3 more runs while staving off a 5 run rally by the Pelicans over the remainder of the game. Pelicans pitching also combined to walk 7 Spirits hitters to add to the poisonous combination of baseball that allowed the Spirits to coast. The victory lifts the squad to the fourth seed in NTABL Fall Trinity Division play, bettering their chances as the playoff round grows closer. The team returns to action this Tuesday night as the league attempts to cram games in following the seething rains that plagued the Dallas metroplex the past two weeks. The team will visit the Dallas Blue Jays at McInnish Park, Field #11 with a 6:45PM first pitch. Click here for schedule details, to obtain driving directions, or to download the iScore Central app to watch and listen to the game live, online.